Home / Opinion / Int'l Relations Expert analysis on Duterte's Satisfaction Rating Decline: "The yellows may have “won” the battle, but the Government-Oppositon war continues…"
Int'l Relations Expert analysis on Duterte's Satisfaction Rating Decline: "The yellows may have “won” the battle, but the Government-Oppositon war continues…"
With the 5% decline of President Rodrigo Roa Duterte’s satisfactory ratings based on the latest survey of the Social Weather Station (SWS), the combined forces of the Philippine Opposition rejoices. But with the analysis of Jun Avelino, everything is going as expected on the side of the State and the glee and joy that the Opposers wear on their snuck faces are to fade away fast and sooner than expected. 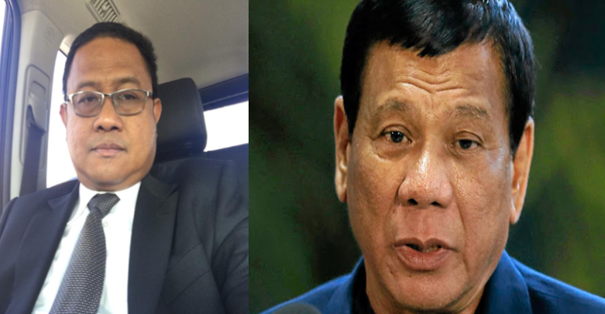 Avelino, posted an article entitled “The impregnability of the Duterte Presidency despite Satisfaction Rating Decline; an Analysis” through the best means to reach the public, the social media network Facebook. He declared that the decline was expected due to the government’s recently implemented policy against tambays (bystanders) and their tirade with the Church. The opposition on the other hand in colors of red and yellow rejoice and try to exploit this but sadly, as Avelino stated, they can’t since it is already negligible in their stead as it came too late. In the current scenario of the war between the government and combined opposition, the red communists are in a tangle as the Communist Party of the Philippines Founding Father Joma Sison just presented his tantrum that left a bitter aftertaste on the tongues and minds of the masses, declaring war after the President postponed the peace talks with them due to the importance of public feedback. Since after all Duterte represents the people. This delay caused the gentle old communist leader to go on full rampage and show the people his true demonic aura and colors, thus turning the tides on public perception of the reds without the government needing to lift a finger. But with this being stated, we must not forget that the Opposition also composes of the Church which apparently is divided internally due to the press statements of father Robert Reyes that defaces the unity and incorruptibility of the Church, alongside the supposed trust that they have for one another. Then there is the yellow Liberal Party which went on full assault after the assassinations of local government leaders like Mayor Antonio Halili of Tanauan, Batangas. Senator Risa Hontiveros even called it an attack on democracy. 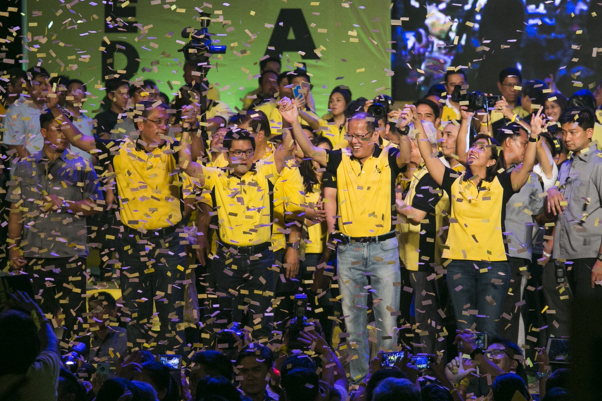 But the underlying facts were that this mayor used to be part of the yellows under the time of former President and Liberal Party Chairman Benigno Simeon “Noynoy” Aquino. He left the party list during the time of Aquino while he was being alleged of involved in drugs, soon after he decided to join Duterte’s campaigns against drugs and was a forefront in Batangas, dubbing him a title after the President, “The Duterte of Batangas”. Well we’ve single’d out every member of this combined opposition, let’s dwell further into their combined efforts. The controversial tarpaulin that states “Welcome to the Philippines Province of China”, isn’t that something that the government won’t benefit from? Then who should we point our guns at? This is but another “cheap gimmickry” of the combined opposition, since in what universe would the Philippines be under China when the talks are respectively bilateral. Unlike compared to the former western allies that took advantage of our needs. The silver lining here is huge, as Avelino is trying to tell. 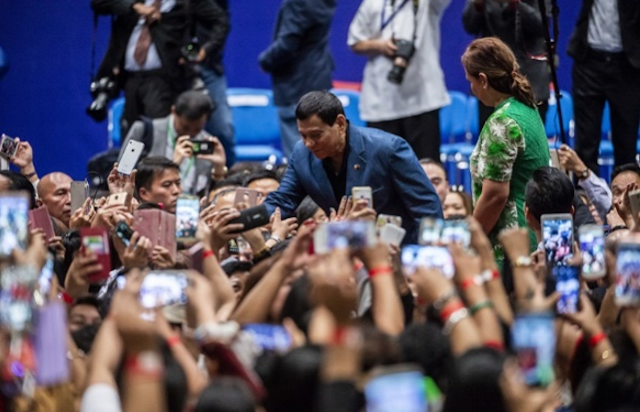 This may be the “rock bottom” of Duterte’s ratings since the incoming of a huge wave of change is coming, change for the better and not some Aquino-certified change. A new Chief Justice is to be appointed, a new Ombudsman will take the place of Conchita Morales as she retires on July 23, 2018. Two large legal fronts that will bring in a barrage of plunder and graft cases that will gun down the destabilizing Yellows out and finally unite the Philippines, possibly as corrupt free as it could get. The long term “investments” that the government put in the policies that were met with distaste would bear the sweetest fruit that it could since the people will realize the effects of the Anti-drug campaign and anti-tambay policy as a way of making the streets safer for the people, the BUILD BUILD BUILD project as a way of helping the poor as well as improving the economic situation of the Philippines and the government being clear of manipulative people who wear their righteousness as a front for their backstabbing acts against the people. Current surveys show that the magic 12 candidatorial senators bear no yellow on them, thus expulsing the Liberal’s grab on legislation by 2019. Trillanes with all his profound skill in being a jest and Bam Aquino walking like his cousin in the shadow of their predecessors will both find no place in the Senate. While Alejano and Lagman will most possibly join the two front lining senators of their party list. The proposed Constitution will certainly eliminate the red’s block of congressmen and women as well as other anti-government groups in the Legislative branch of the government thus slowly killing of the opposition through cutting all their supplies and resources. This will put the Duterte administration on full offensive, eventually winning the war that was started by the opposition that the President was ready to co-exist with. And if they choose to hardline their opposition by assassinating the President, then feel free to wish your dreams goodbye since the Military and the Police will join forces with the people, literally aiming their guns at the communists to prevent them from taking power. A repetition of the time of the assassinated Ninoy Aquino but with an ironic twist, the once-victims lived long enough to become the suspects. So with all of that being explained by Avelino, we can say that the Yellows may feel like they’ve won the battle against the government when in reality, they are about to get nuked by the biggest bomb that Duterte has to offer, the combined forces of the Judiciary, Ombudsman, Military, Police and with the most important factor, the people who are tired of the combined Opposition’s facades and false promises.